Prep Circuit is excited to announce a new series called 'Dear Senior Year.' The series will focus on 2019 players set to cap off their high school careers. How did they get here? What were their challenges? What advice would they give themselves? Stay tuned all fall for new entries. The first edition features five-star center Isaiah Stewart. 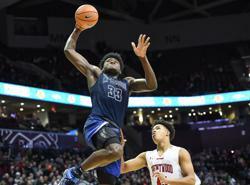 Stewart heads into his final year of high school as the fifth-ranked player in the nation, according to ESPN, and he's set to dominate in 2018-19. 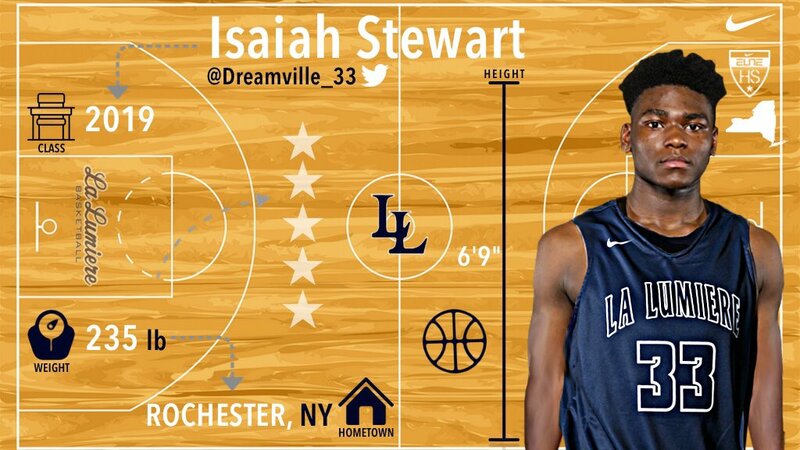 The La Lumiere (IN) and City Rocks (NY) standout broke down his journey and more in his 'Dear Senior Year' entry for Prep Circuit. Looking to my senior season, I can’t wait to take everything to another level. For where I’m at right now, it’s all about getting better and working on different parts of my game. I also want to improve on things that don’t even include a basketball. I want to be a great leader on and off the court. I’m working on that because I’m going to be a leader of this team. I’m going to be leading these young guys and do absolutely everything it takes to win a championship. In eighth grade, I was dunking and that’s about it. So heading into ninth grade, I had no idea what to expect. I knew I was playing on the varsity team, but I didn’t know if I was going to start or if I was going to come off the bench. I worked hard and I ended up starting right away. In the first games of the season I set the tone and saw myself getting better. I started to get in the weight room a little bit and continued to work on my game. This is when I knew that this game could take me somewhere. When sophomore year came around, I dealt with some adversity as I came down with an injury. I came back toward the end of the season, but unfortunately lost in the sectional finals. 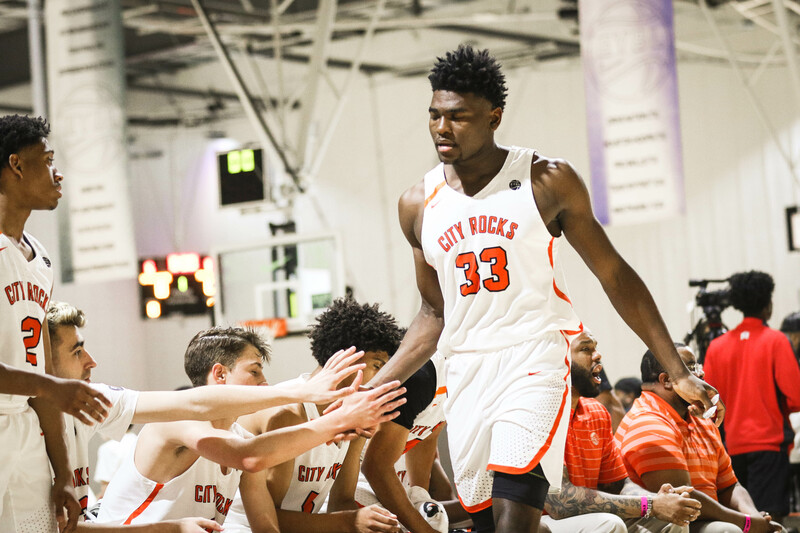 I had to gather myself and focus on my first 17U NIKE EYBL season with the City Rocks (NY). I really wasn’t the showcase player, I would consider myself as more of a role player who did his job. I just stuck to that role because I wanted to do nothing but win. There were other guys on opposing teams that were ranked ahead of me with a lot hype, but I looked at them and thought I was just as good as those guys, if not better. Those kind of games continued to put a chip on my shoulder. My junior year, I made the tough decision to leave home and transfer to La Lumiere. Since I got here I have been receiving high level coaching, have been getting right in the weight room and have expanded my game. I started to add more to my game, played a national schedule and I think that and some more reasons are why I showed everyone that I’m one of the top big men in the country. I used that confidence going into the EYBL season where I showed my growth by dominating various matchups. In the middle of the AAU season I tried out for the USA team and made it. We went over to Argentina and that was a once in a life time experience. That was something I won’t forget about for the rest of my life. After that it was off to Peach Jam where we came up short of winning a championship, but I thought we had a good showing. I then had a good experience at the Nike Skills Academy and now I’m trying to bring this all into my senior season. This has been an incredible journey for me. I wasn’t always this highly regarded. I wasn’t always a five-star recruit. I was just a rising ninth grade kid going into McQuaid Jesuit who was trying to make a name for himself. If I were to sit down and have a conversation with myself back then, I would have a couple of things to say. I would tell that kid to be patient and don’t rush into anything. I’d say to always keep your eyes on the prize, keeping working hard and everything you are working for and deserve is going to come. Going into ninth grade I was feeling frustrated about when my first offer is going to come, if I’m getting better and why I wasn’t being ranked highly. If I were to sit down with myself from back then, I would make sure he knows that his time is coming and to stay humble and hungry for everything up next.